This week has been a hotch potch of cities, starting in London last Sunday, moving back to Edinburgh by way of very cheap fares on East Coast trains, flitting by Perth for a night (actually a town but almost a city again), crossing to Belfast with P & O and driving south to Dublin for a couple of days, before returning to Auld Reekie courtesy of one of Mr O’Leary’s blue and yellow birds. 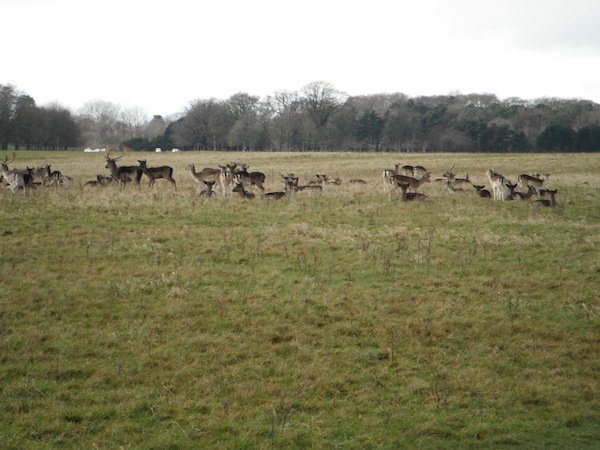 One highlight was a great long walk in The Phoenix Park in Dublin yesterday morning. 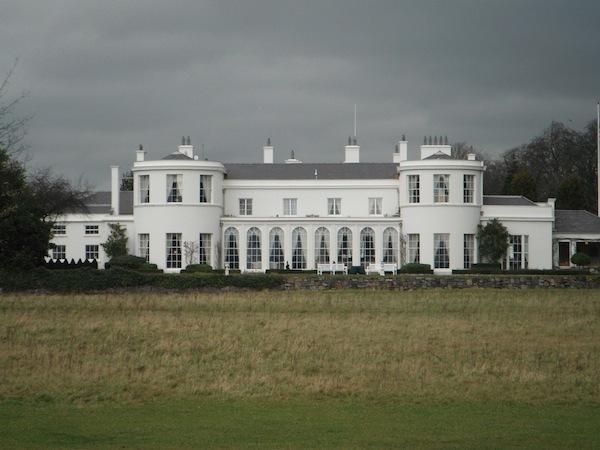 Very near to the city centre, it is home to herds of deer, Dublin Zoo, the Irish President’s official house and the US Ambassador’s magnificent residence. It is 1752 acres of green established in the 17th century by Duke Ormond on behalf of Charles II, and is a very well-used recreational area. I have been there many times before, but yesterday when the weather was dampish though mild, there were runners, walkers (all a little more than middle-aged and using walking poles on the flat which looked a bit silly! ), men with remote controlled airplanes and cyclists all enjoying the space in their various ways. What a great resource it is for those simply wanting a bit of fresh air. Of course London has its own version in Hyde Park, which plays host to summer open air concerts as well as providing a vital outdoor space for city dwellers to swim, rollerblade, row, ride bikes and horses or just simply sunbathe. The swimming Lido has never really tempted me for long even on hot days, as it is situated in water which is shared with ducks…. 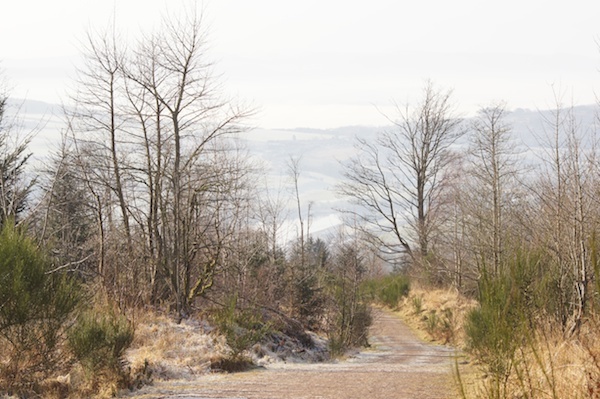 In Perth I walked around Kinnoull Hill which is again a great expanse of green near the town centre, much loved by pony trekkers and dog walkers alike. Belfast was a bit rainy so I repaired to the Ulster Museum, but would have much preferred to be out and about in the adjacent Botanic Gardens. Back here in Edinburgh, we are fortunate to have several wonderful outdoor spaces all within easy reach of the city centre. In 2011 our city parks and green spaces achieved 20 green flag awards. We have our own Botanic Garden where you can walk or picnic, or simply marvel at all the Latin names of all the shrubs and trees. Unfortunately the glasshouses fell prey to the high winds at the beginning of January along with many trees. Princes Street Gardens is another lovely space, lying in the shadow of the Castle and split into two distinct sections by The Mound, with each half having its own distinct attributes. 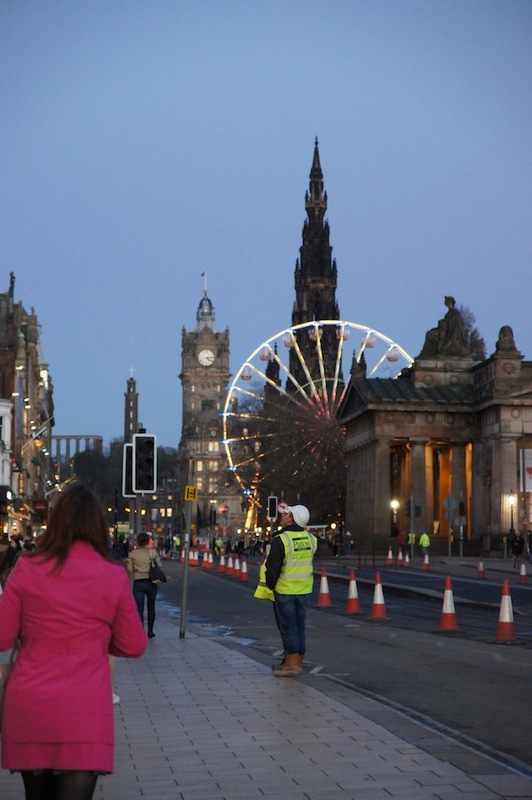 This week the news about the East gardens was that we may get a Big Wheel situated there in the summer. We already have a Big Wheel during the winter, but this one, we are told, will be different. It will be more like the London Eye, and will possibly be the very one that has been living in Manchester till now. In Dublin the Big Wheel which was outside the O2 concert venue for so long has just vanished into thin air. It was set a good distance from the city centre and presumably for that reason did not become a commercial success. 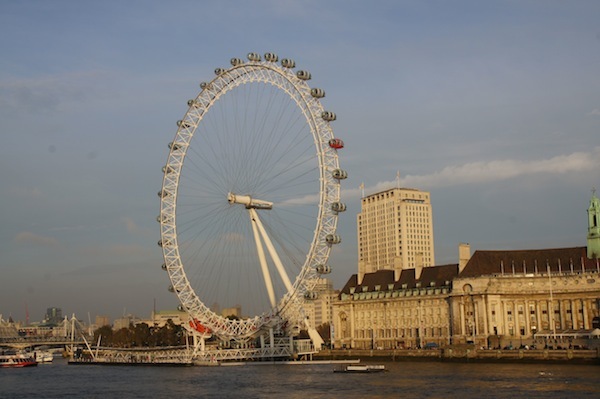 If we get our promised wheel it will be in the right place for tourists and Edinburghers, although perhaps without the spectacular views that the London Eye offers. 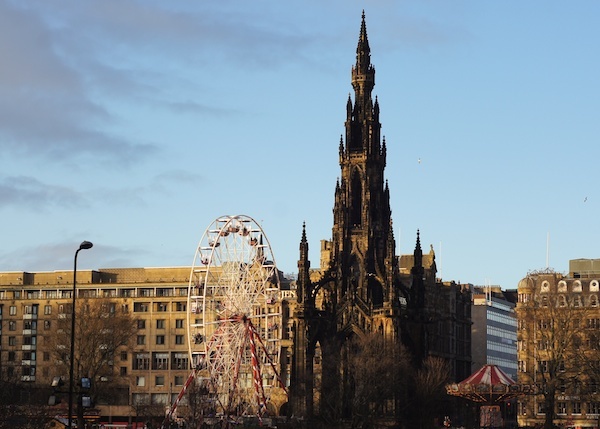 If you want to enjoy those, then you can always climb the 287 steps of the Scott Monument which is always in situ, and nobody ever considers dismantling it and moving it elsewhere. It was Scott who wrote the Fair Maid of Perth, but although Perth was formerly a city, it is now having to reapply for its status. The First Minister Alex Salmond has supported the town’s application to have itself restored as a city in 2012, the Queen’s Diamond Jubilee Year. This takes me back to the beginning of the round trip. 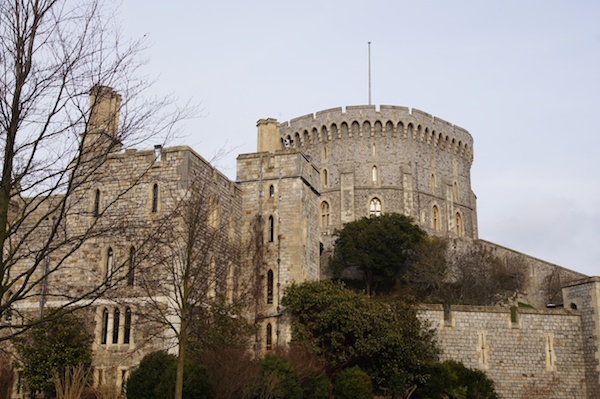 When I was in London last weekend, I was fortunate enough to visit the new exhibition of 60 photographs of Queen Elizabeth II at Windsor Castle. How lovely this is, and you will be missing yourself if you don’t manage to see it. It is a record of one person’s life, but also a record of the many social changes which have taken place in Britain during her reign, perhaps best demonstrated by one photograph alone. There is one photo of Her Majesty at the races, and she is quite simply surrounded and dwarfed by the crowd of other racegoers. It is actually difficult to pick her out! Perhaps a security worry, but certainly not something which would ever have been contemplated by her forebears who all appeared to have a much more visibly protected lifestyle than she does. Royal walkabouts have become the norm, and perhaps one of the ways the Elizabethan period might be best remembered? For once the weather tables have been turned this week, as London has borne the brunt of the snow, whereas in the north we are enjoying much milder temperatures. Long may it last!